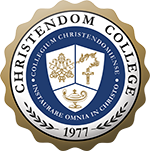 Crossroads Books is an imprint of the Christendom College Press designed to offer scholarly insights on current Catholic issues in a format accessible to a broad spectrum of readers. William H. Marshner brings a unique background to his authorship of the first of the Crossroads booklets. Formerly a contributing editor to The Wanderer and an assistant editor of Triumph magazine, Mr. Marshner has long experience in the apostolate of the Catholic Press. A Ph.D. candidate in Languages at Yale University and in Theology at the University of Dallas, Mr. Marshner is completing his dissertation on Cardinal Newman’s notion of doctrinal development. He is also professor and acting chairman in Theology at Christendom College. The incredible increase in the numbers of marriage annulments in the churches of Holland, Canada and our own United States is rapidly becoming one of the greatest scandals in recent Church history, and yet the true proportions of this problem are still relatively unknown to many American Catholics. In 1976 alone over 15,000 annulments were declared in this country, and that number can be expected to greatly increase in the years ahead, given the present orientation of growing numbers of our tribunal officials.